Visions of Jesus Christ.com - Godwin student paralyzed in crash: ‘Heaven is real. I’m here for a reason’. 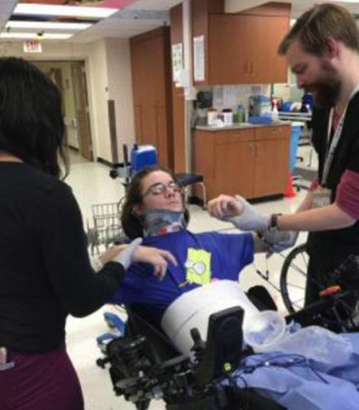 Godwin student paralyzed in crash: ‘Heaven is real. I’m here for a reason’. Pictured above is Ryan's Grandfather. 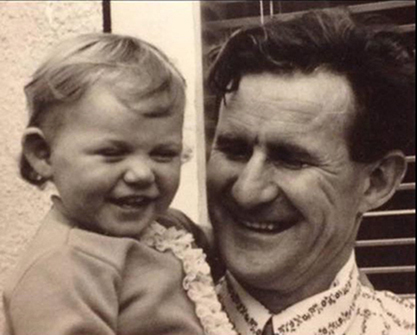 Ryan said he also saw his Grandfather in heaven whom he had never met and had only seen in family photos. December 6, 2017. Reported [here]. Henrico county, Virginia. 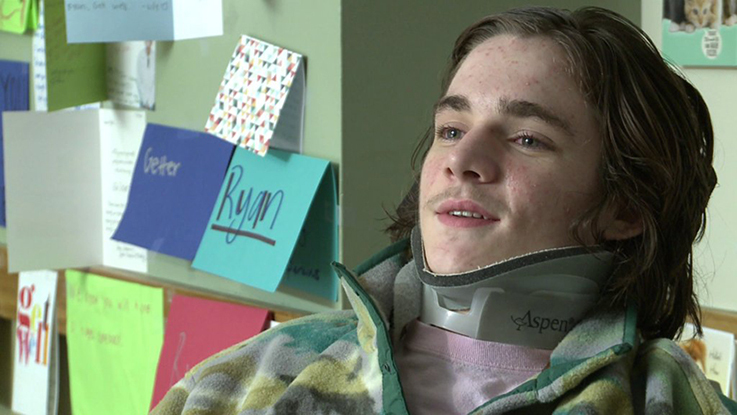 -- Support is coming in from around the world for a Godwin High School student who was paralyzed in a car accident on his way to school. Ryan Estrada, 16, says he lost control of his vehicle while trying to avoid a bicyclist on Gayton Road in Henrico County on Nov. 8. “I remember swerving past the biker and there was another car coming in the lane so I had to swerve back into my lane,” recalls Estrada. “I remember losing control of the wheel, hitting the mailbox and then hitting the tree.” Estrada said two motorists, who he now considers his “angels,” came to his rescue and called 911. “Vehicle in the ditch with someone hanging out of the vehicle not moving. Complainant thought they were deceased,” can be heard from emergency communications from that morning. “When I was hanging out the window, I knew something was wrong because I couldn’t feel anything in my shoulders and I just couldn’t feel anything,” said Estrada. Ryan suffered a broken vertebrae in his neck and severe spinal cord injury resulting in paralysis of his hands and legs. “It was easily the worst day of my life to see him in the emergency room so helpless and crying,” Caroline Estrada, Ryan’s mother, said. “I was about to go into surgery and the whole day I was sad, crying, bummed,” said Ryan. “I remember my uncle, I saw him in like heaven, and he told me that I’m going to get through the surgery and everything is going to be alright, so I knew from that moment, I was smiling. I looked over at my mom and told her everything was going to be OK -- You know uncle Jack, he’s got me.” Ryan said he also saw his Grandfather whom he had never met and had only seen in family photos. “I think it means heaven is real and God’s real and that I’m here for a reason. I didn’t die for a reason,” he said. “I think it happened to regain my faith. I wasn’t really a religious person the last year going through depression. But ever since the accident every day praying.” Ryan spent seven days in the trauma center at the VCU Medical Center and has since been moved to the Spinal Cord Injury Rehabilitation Center at VCU. He is in intense physical and occupational therapy. The family has been overwhelmed by support from as far away as Ireland from a GoFundMe account that friends set up. “As Caroline prepares to bring Ryan home, doctors and therapists have informed her of all the equipment necessary including a motorized wheelchair, a wheelchair accessible van, a chair lift for the stairs, a Hoyer lift for all transfers just to start. The rehab therapists have been using the Tobi Dynavox with Ryan in the hospital and highly recommend he purchase one for home. This technology allows Ryan to use his eyes to operate a computer since he does not have use of his hands. They will also need to make renovations to their home to accommodate Ryan's new life,” the GoFundMe stated. “The gratitude and indebtedness I feel for people and just the love it’s so overwhelming, but it’s the thing that Ryan talks about and I feel it everyday,” said Caroline. Ryan’s swim season at Godwin High School started the day of his accident. His hospital room is filled with cards and well wishes from his team and the community. “How long have you been swimming?” asked CBS 6 reporter Laura French. "Since I could walk, can’t walk anymore though but that’s going to change," Ryan responded. "I’m going to swim next year and go to states watch me."